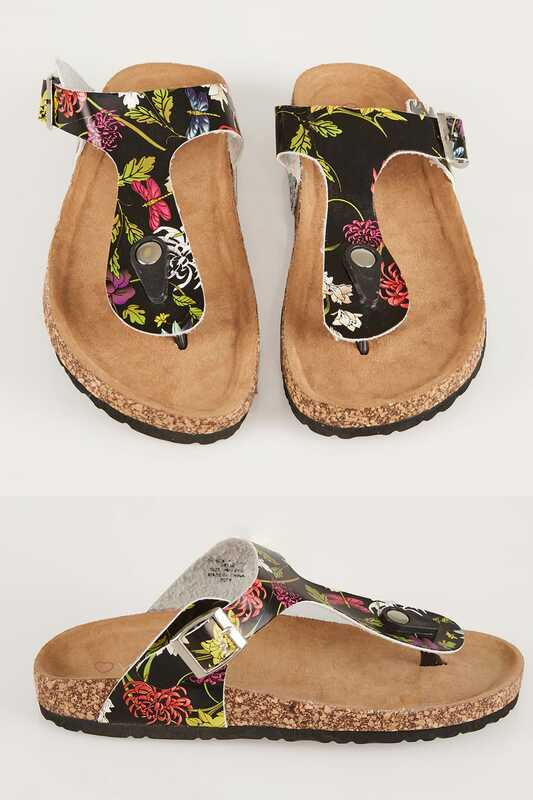 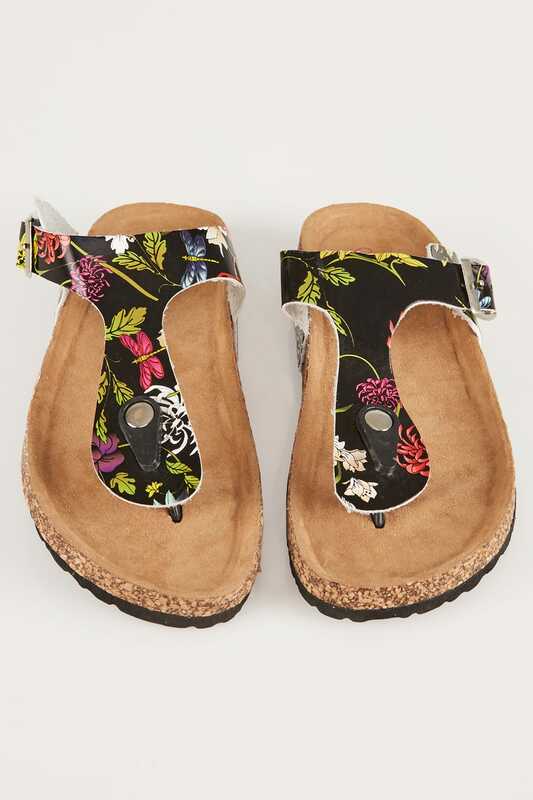 EEE fit black & multi toe post sandals with adjustable buckle to the strap. 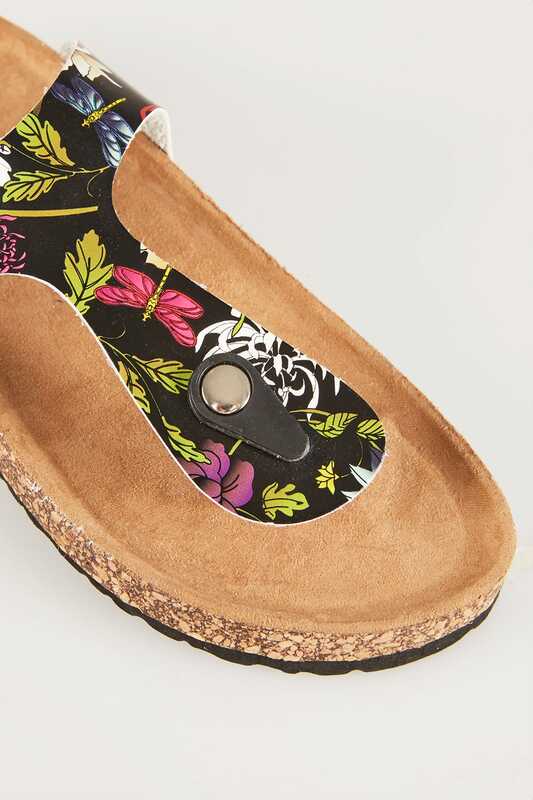 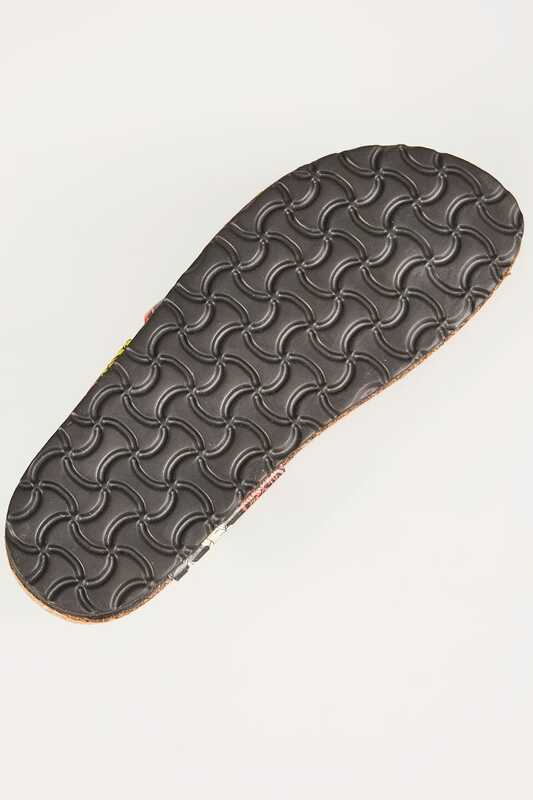 Has cork effect foot-bed lined with a soft suedette fabric for extra comfort. 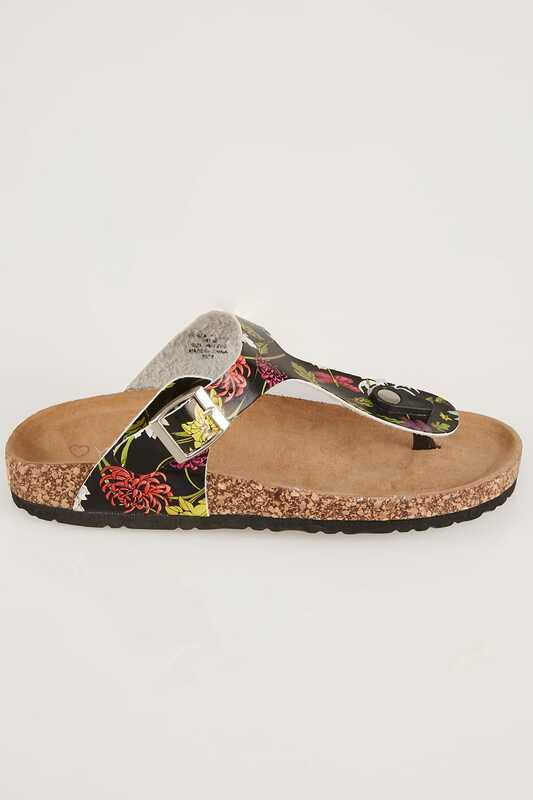 These casual sandals are great for the spring/summer season.